Tom McEvoy y Brad Daugherty. Two world champions show players how to win their way into big tournaments offering millions of dollars in prize money for a fraction of the cost by playing in small-entry fee tournaments. Chris Moneymaker did this when he parlayed a $39 satellite win into a world championship title and $2.5 million, as did Grey Raymer in 2004 when he turned $150 into $5 million. 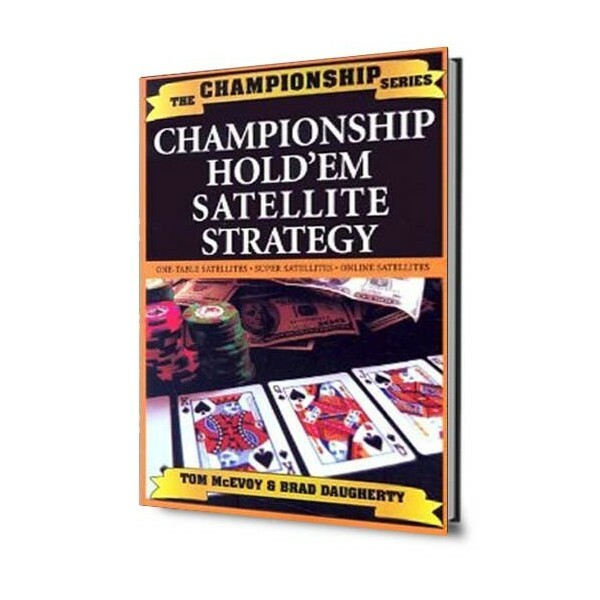 These exciting mini-tournaments, called satellites, made the authors millions of dollars and now they share their secrets with you. 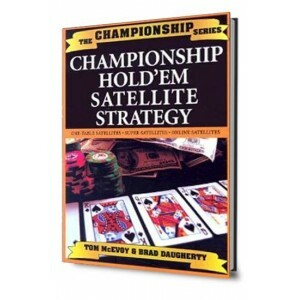 Step-by-step, you'll learn proven insider strategies for beating limit and no-limit hold'em satellites, as well as one-table, multi-table, online, and super satellites. Tom McEvoy is the 1983 World Champion of Poker, rarified territory occupied by only about two dozen players. He has won millions of dollars playing hold'em in cash games and major tournaments around the world and is the author of 11 books including No-Limit Texas Hold'em (also in the New Player Series), Championship No-Limit & Pot-Limit Hold'em, and Championship Hold'em.